To bring down the healthcare budget of every citizen of India through providing Quality generic Medicines at Affordable Prices, the Government of India started a campaign called ‘Pradhan Mantri Bhartiya Janaushadhi Pariyojana’ (PMBJP). One such outlet ‘Pradhan Mantri Bhartiya Janaushadhi Pariyojana Kendra’ is now open on the Global Hospital premises. 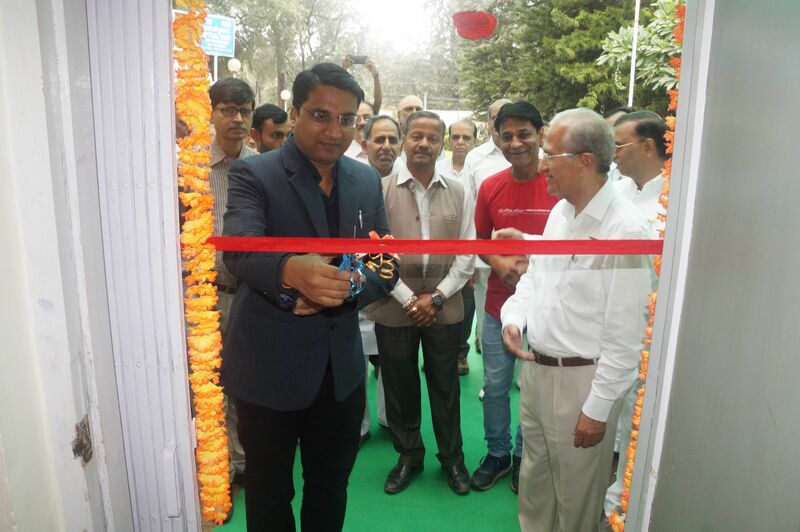 SDO and SDM of Mount Abu, Mr. Nishant Jain, IAS, cut the ceremonial Ribbon to mark the formal opening of the Kendra. 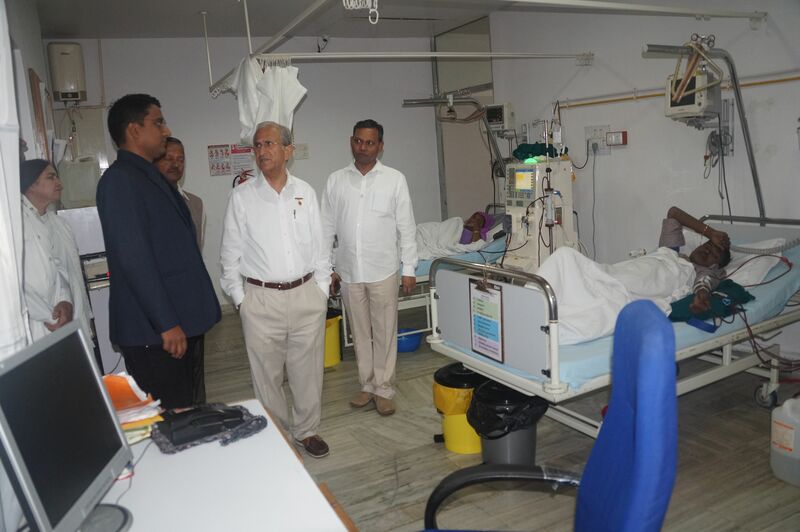 The objective of the plan is to make quality medicines available at affordable prices for all, particularly the poor and disadvantaged, through exclusive outlets “Pradhan Mantri Bhartiya Janaushadhi Kendras,” so as to reduce out-of-pocket expenses in healthcare. Dr. Pratap Midha, Director, Global Hospital and Research Center (GHRC); BK Balkrishna, Pharmacy Incharge; along with other Pharmacy staff and senior staff of GHRC and distinguished guests from Mt. Abu were present on this occasion. 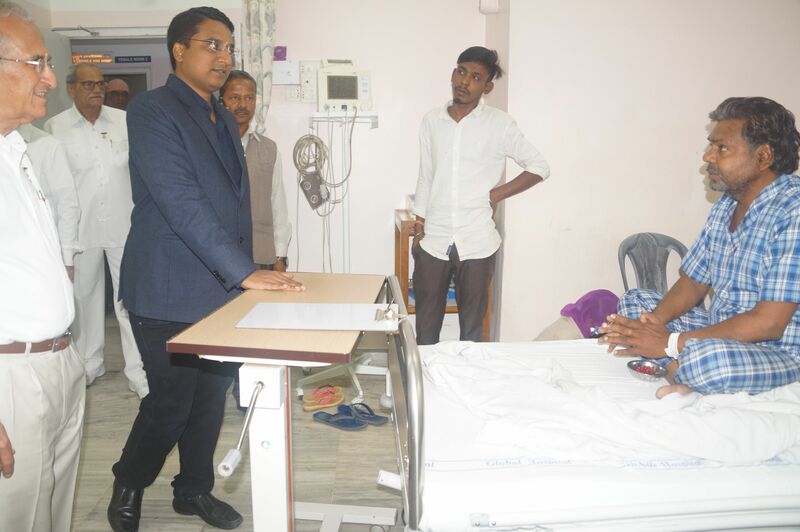 After the ceremony Mr. Nishant Jain, SDM, visited the wards and interacted with the patients.